Danny Braddix is a gentleman of the road. Born in Virginia, he grew up in Germany, France, and Boston. As a young man with a love of numbers, he acquired a degree in accounting and envisioned an upward career path in big companies with big office buildings. A few years of this career path spawned a new and different vision: the open road and a search for adventure, beauty and the meaning of life. Exploring the country, he came to Big Sur, California, and the artist inside came alive. He spent years developing his skills with acrylic on canvas. 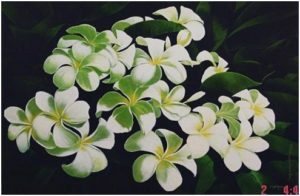 A woman, a dare, and a promise took him to Maui, and in that land of impossible beauty, his passion for artwork exploded. 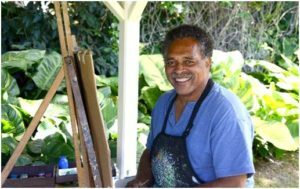 His true love is hiking out into the wild places with his backpack full of art tools and a folding stool, and spending day after day deeply immersed in his painting, giving reality to his vision. The years roll on, and family ties and the joy of new horizons have brought Danny to the free and open west.